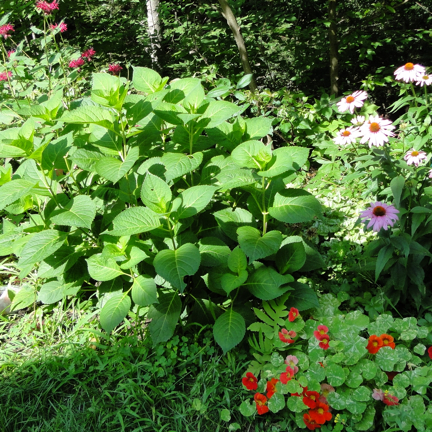 In 2011 I bought a house and began to fill the yard with perennials. I had a lot of cleaning up to do, as the gardens were pretty ugly – but not as ugly as the house! In between fixing up the inside of my home, I spent time beautifying my new yard. 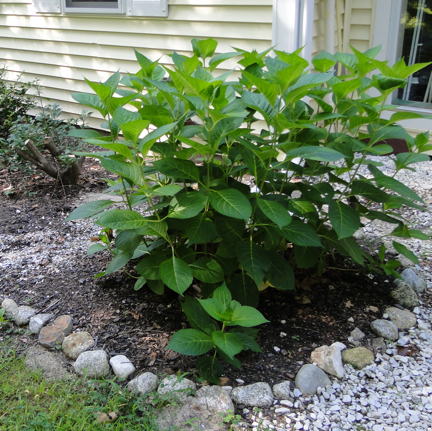 That first summer was spent clearing away old growth and garden edging, but in Spring 2012 I was ready to buy some perennials, and one of the first shrubs I wanted was the hydrangea. It is now 2015, just three short years later, and I thought I’d share pictures of those plants, and their offspring (propagated plants). I also want to post an update to acknowledge my favorites, problems, etc. to share with readers. First, the Blushing Bride, hydrangea macrophylla. The pictures below were all taken in August, 2015. 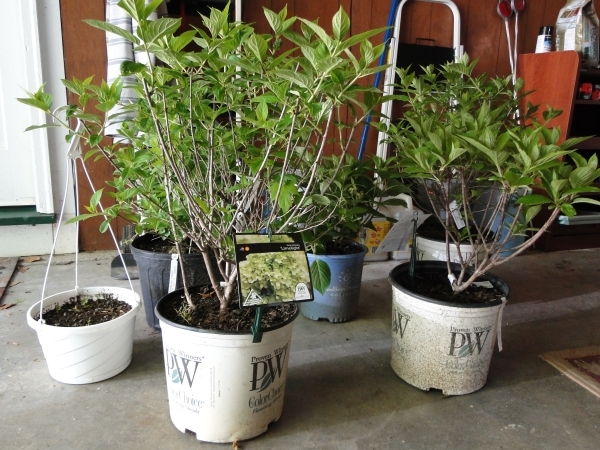 The first is the original shrub I bought from a local nursery. The next two are pictures of the two I propagated from the original. I planted them last year, and as you can see, they are almost as large as the original. In fact, one of the ‘babies’ is blooming, and the others are not. 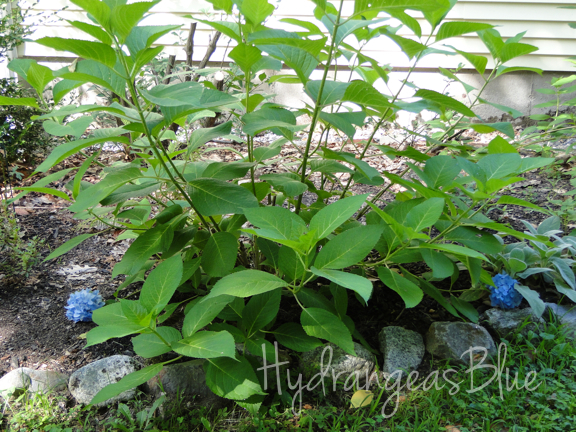 These are beautiful shrubs, with large green leaves, and I highly recommend this perennial for the yard. The blue-flowering hydrangea, ‘Endless Summer’ is pictured here. It’s not flowering much this year, but I blame the bad winter. There are two small flowers at the bottom. I think in time, as it ages, this will be a more beautiful shrub. I also cut down a larger bush that was preventing it from getting sun. That may help with blooms next year. 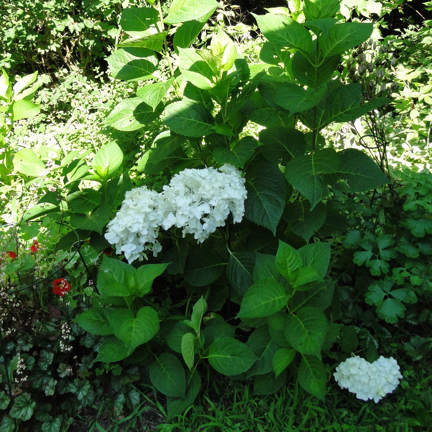 Please see my next post and read my review, with pictures, of two more hydrangeas, the paniculatas – the Pinky Winky and Limelight – which have elongated blooms.